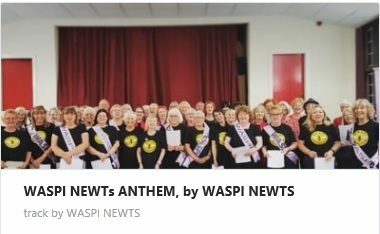 Newcastle Wear and Tyne group have released an anthem to the tune of Blayden Races. Available for purchase for only £1 + VAT. You can donate more if you wish. 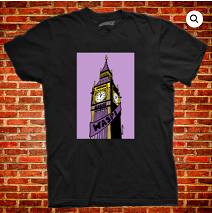 Long time WASPI Supporter Steve Bee has designed a T Shirt using his popular cartoon of Big Ben wearing a WASPI Sash. 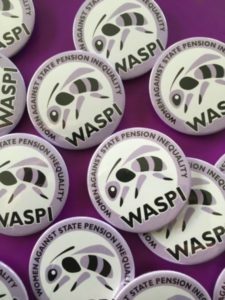 Steve has agreed to donate 50% of all profits made to the WASPI Campaign. 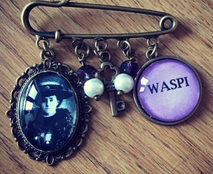 Please contact your local group to add your individual order to group order.